Dental x-ray pictures are an important part of consistent dental exams. Some patients are worried about the effects of x-ray radiation on their wellness. Be assured that ongoing technology improvements considerably minimize the amount of radiation exposure needed when using dental x-ray machines. First, the important x-ray components are shielded so that the exposure is limited to only the amount necessary for pictures of your teeth and jaw. Second, your vital organs are covered with a lead shield to additionally minimize radiation exposure. Finally, your typical x-ray exposure in a dental situation is far less than the radiation you get using other medical images or even from natural amounts experienced on planet Earth. Walking around in the sun each day actually gives you with a greater radiation dosage than a sole dental x-ray. It would require thousands of dental x-rays annually before a patient could possibly suffer any ill effects. Obviously, the Yuba City Dentistry Group doesn’t give any patient that many x-rays. Dentist associations recommend annual bitewing x-ray pictures at a minimum (so-called because you “bite” the tool employed to make the x-ray). These let your Yuba City dentist see the condition of your crowns and the height of bone between the teeth. Full-set x-rays of the complete oral cavity are advised every three to five years, providing a complete view of every tooth in comparison to the bone and adjacent teeth. Periapical x-rays take pictures of one tooth. This is usually done if a patient complains of a toothache, allowing our Yuba City dentist to scan that tooth specifically. 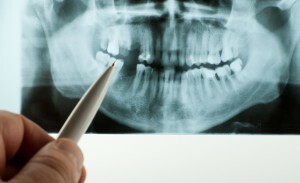 A panoramic x-ray of your teeth and jaw, named a Panorex, is taken without the patient placing anything in their mouth. Both the upper and lower jaw are imaged together using one x-ray. This type of x-ray is usually taken if treatment is essential for impacted teeth or to examine other suspected problems underneath the gums. As part of our Yuba City dentistry practice, we only recommend x-rays essential to ensure your oral wellness and safety. Every care and advancement possible for your wellness is considered and employed by the Yuba City Dentistry Group. The diagnostic and preventive advantages are well worth the employ of this time-tested medical tool.